Children should visit the dentist by their first birthday. It is important that your child’s newly-erupted teeth (erupting at 6-12 months of age) receive proper dental care and benefit from proper oral hygiene habits right from the beginning. Your child’s first primary, or “baby” teeth will begin to erupt between the ages of 6-12 months, and will continue to erupt until about age three. During this time, your child’s gums may feel tender and sore. To help alleviate this discomfort, we recommend that you soothe the gums by rubbing a clean finger or a cool, wet cloth across them. You may also choose to make use of a teething ring. 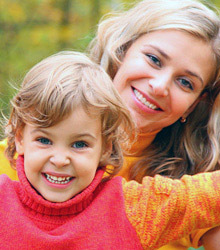 When your child has finished teething, you can expect a total of 20 primary teeth! Your child’s primary teeth are shed at various times throughout childhood, and their permanent teeth begin erupting at age six, and continue until age 21. Adults have 28 permanent teeth, 32 teeth including wisdom teeth. Drs. 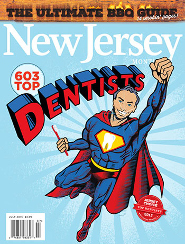 Druger were recognized as top dentists in the NJ Monthly Magazine and also as one of NJ's favorite kids docs in the NJ Family Magazine.